We had our wedding celebration at One Banquet Hall and Winnie who runs the venue, was the most helpful and understanding person. We had to make a few changes and adjustments but Winnie was very understanding and agreeable. The venue is spacious and the wait staff was very accomodating. I recommend One Banquet Hall for anyone who is considering hosting an event. My daughter's baby shower was amazing. The room was lovely and spacious. Winnie and the staff were very accommodating and always kind to our guests. The bartender made delicious drinks with a positive demeanor. I highly recommend it for any event and I know we will be having more events there in the future. Absolutely loved this venue and so did all of my guests !! The service is amazing! 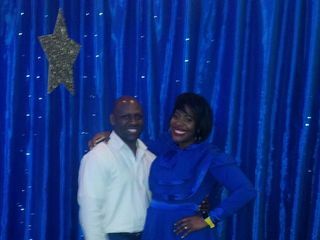 Winnie the manager and event planner was great and patient with all my needs. The venue is stunning already and there is not much you have to do for your party, but show up. I recommend anyone to use this venue ! Winnie and Adam were very accommodating from the start to finish. 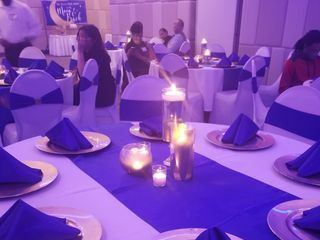 The decor and atmosphere made the One Banquet Hall the perfect place for my Dinner Party Reception. Thank You again Winnie and Adam. 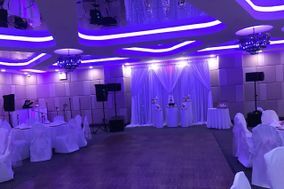 My husband and I were very satisfied glad to recommend this place a great location for any event. Hey Tashia and Chris. Thank you very much for this great review. I really appreciate that you took the time out to leave us wonderful feedback. Keep in touch and we hope to have you back soon. 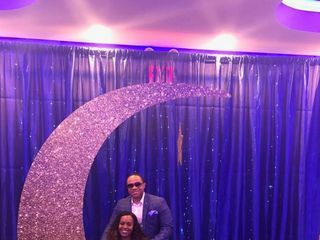 I was privileged to be the first to host my husband's surprise birthday party/ our 17th wedding anniversary/ family re-union in this beautiful space and I was left absolutely satisfied by the experience. From the beginning of the initial call to view the space to the end of the party at closing, Winnie and Adam were nothing short of perfection! Winnie answered all of my calls(she was even very accommodating when I had to reschedule a meeting because I was hiding the planning details from my husband lol) The food was absolutely delicious, the wait staff were polite, well dressed, clean and very attentive to our needs. 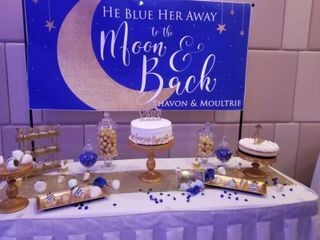 The decor was amazing!!! The lighting was off the chain!!! The bathrooms were clean and well stocked. Our security deposit was refunded the day after the party without any hesitation. While we enjoyed a lower promotional price, the regular price is very reasonable and we will not hesitate to book this venue in the future. Thanks again Winnie and Adam for making this a day to remember! !